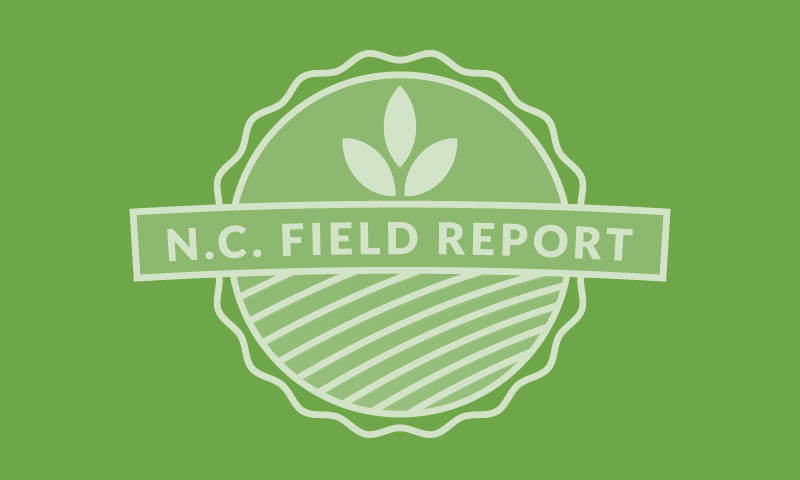 With over 80% of North Carolina soybeans out of the field, the 2016 season is officially winding down. 2016 was a tough year for many with extensive drought in the west, and drought followed by flooding in the east. Thankfully, it sounds like statewide yields aren’t as bad as originally thought. NCDA’s November estimate has a state wide soybean average yield of 36 bu/acre. And prices have improved significantly since the spring. As the 2016 harvest wraps up, it’s time to sit down and reflect on what you learned this spring, summer, and fall. As farmers, we only get one attempt a year to grow a crop, so it’s essential to pay attention to what worked and what didn’t and use that information to help with future crops. Writing things down (since most of our memories aren’t as good as we sometimes think they are) is critical to being able to remember things that should be repeated and things you would do differently. 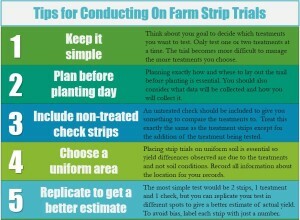 One good way to evaluate which practices work best for your operation is to conduct on-farm research. New technology such as RTK, auto-steer, and yield monitors make it relatively simple to conduct on-farm research in a low-cost, low-risk setting. While getting started with on-farm research may sound scary at first, it is actually exciting to see how yield changes on your farm with differing practices and products. Below are some tips to help you get started. 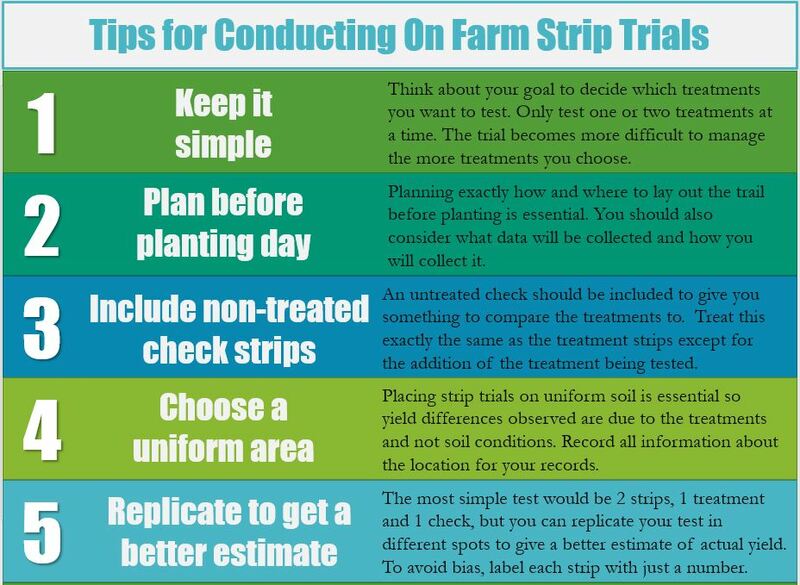 If you have questions about how to lay out test strips or analyze data, feel free to contact our office. We would love to help you evaluate some products and practices on your farm.